Let’s kick this year off with a bang! Step right up to our booth at the Catharsis Carnival, an event aimed at helping you get out and push for change. 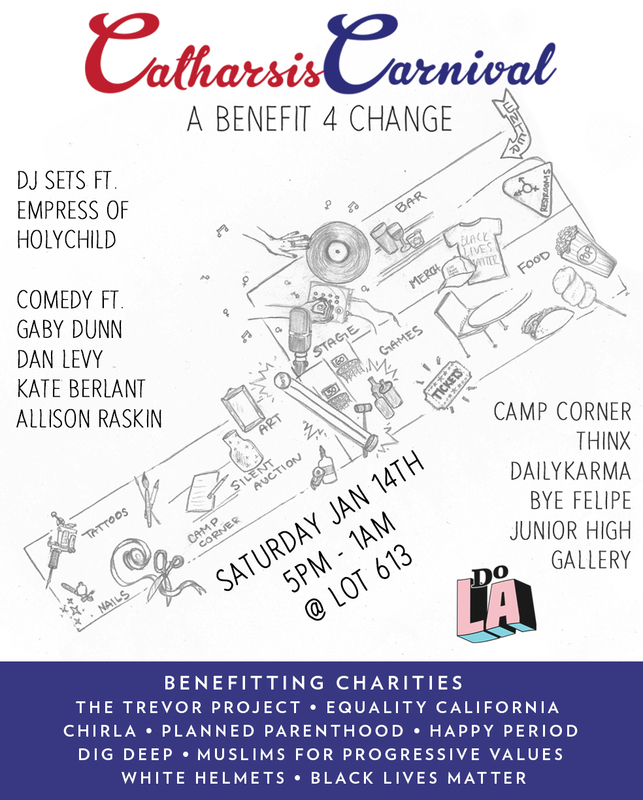 This Saturday in Los Angeles from 5pm – 1am, come play carnival games with a charitable spin, laugh with comedians & groove to live music. This event is sure to leave you motivated! Snag your tickets & learn more details here. See you there! And if you can’t make it, you can still support by donating here.